Malcolm Braly (1925–1980) was born in Portland, Oregon. Abandoned by his parents, Braly lived between foster homes and institutions for delinquent children, and by the time he was forty had spent nearly seventeen years in prison for burglary, serving time at Nevada State Prison, San Quentin, and Folsom State Prison. He wrote three novels behind bars, Felony Tank (1961),Shake Him Till He Rattles (1963), and It’s Cold Out There(1966), and upon his release in 1965 began to work on On the Yard. When prison authorities learned of the book they threatened to revoke his parole, and he was forced to complete it in secret. 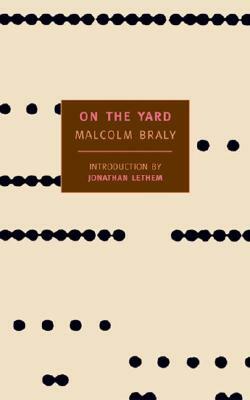 Published in 1967, after Braly’s parole had expired, On the Yard received wide acclaim. It was followed by his autobiography, False Starts: A Memoir of San Quentin and Other Prisons (1976), and a final work of fiction, The Protector(1979). Malcolm Braly enjoyed fifteen years of freedom before his death in a car accident at age fifty-four. Jonathan Lethem is the author of seven novels, including Motherless Brooklyn and The Fortress of Solitude. He lives in Brooklyn and in Maine. "Surely the great American prison novel" — Kurt Vonnegut, Jr.